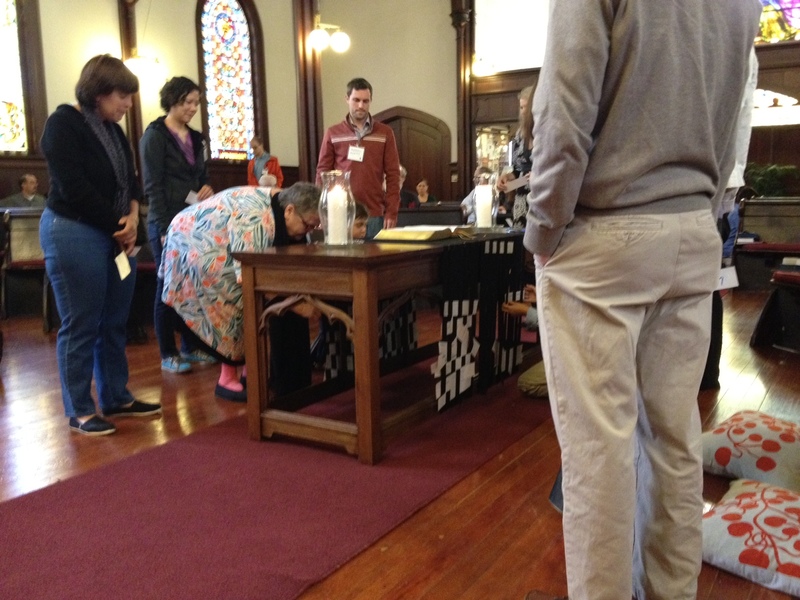 A couple of months ago, I embarked on a journey with my congregation on experimenting ways our worship can be more intergenerational. I shared my church’s journey that led us to this point. It was a wonderful and yet busy two months. Even before the experiment started, the biggest reaction I received from the post seemed to be around the elimination of children’s sermons. Either pastors defended the importance of them or seemed to agree that they needed to go. After two months, I have to say that I have received no comments either way from my congregation, which either means they don’t miss them or they feel there are other ways for the children to engage in worship that is meaningful. While the experiment took a lot of thought and planning, my main incentive was just to try something. Try something and see how it worked. Only by trying something, did I feel I would gain a better understanding of what intergenerational worship would be like for my congregation. Of course, I didn’t do this alone. This took the cooperation of my Head of Staff and the choir director. Also, I had leaders and worshippers sharing their experience and feedback as well. For the first Sunday, nothing too new was introduced since the structure of worship was new. The worship service was simplified to four parts: Gather (Call to Worship, Song, Confession & Assurance, and Passing the Peace), Engage (Scripture, Sermon, Song) Respond (Prayers of the People, Choir Anthem, Collection of Offering & Announcements), and Depart (Song, Benediction). I kept this structure of the service the same throughout the experiment, but had flexibility within the four parts to do something creative. More teachable moments were added in worship, where the choir director would lead simple songs. Most of this was done a capella or as a call and response. It was amazing to hear the volume of singing increase versus with the organ or piano. To engage all ages in the reading of scripture, we used more storytelling and call and response litanies. Since Sunday School hadn’t started yet, I had an activity for the kids to engage in during the sermon off the lectionary text, James 1.22-25. They were invited to look at themselves in the mirror and use playdough to recreate their image or what they see in the mirror. 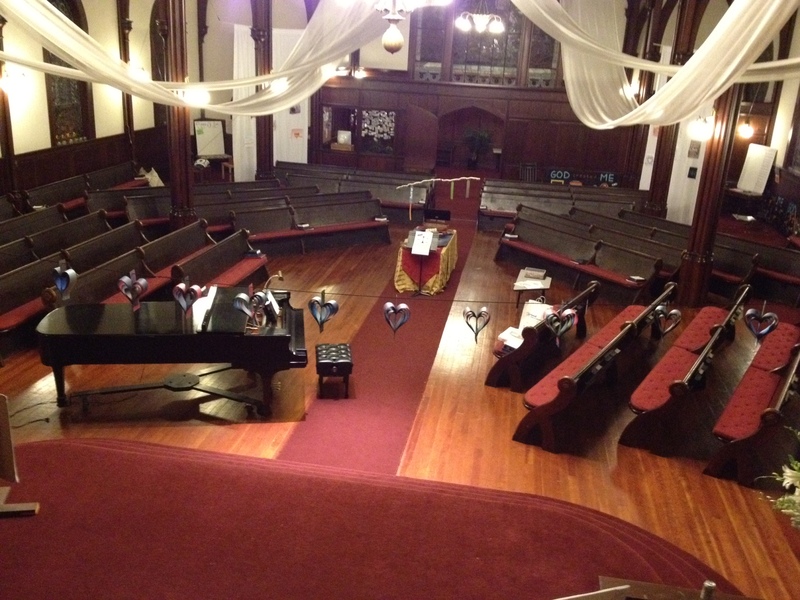 With the help of our pastoral intern, we moved the pews in a more circular arrangement and pulled the piano forward. Because the second Sunday was close to the remembrance of 9/11, we had interactive prayer stations set up around the theme of love and peace. All kids stayed in worship. I worked with the choir director to adapt a sermon and weave in parts of the musical, Rent’s, Season of Love. During what usually would be the “prayers of the people,” worshippers were able to go to as many prayer stations as they wanted or desired. Although all stations were intergenerational, there were special stations set up for toddlers and their parents. For this Sunday, we continued to live into the new structure of the service. I weaved in songs and prayer together for the Call to Worship and the reading of Scripture. This was also the first day Sunday School began, except with some changes. For those in grades K-5th grade, they stayed in worship, giving them opportunities to not only participate, but lead as well. 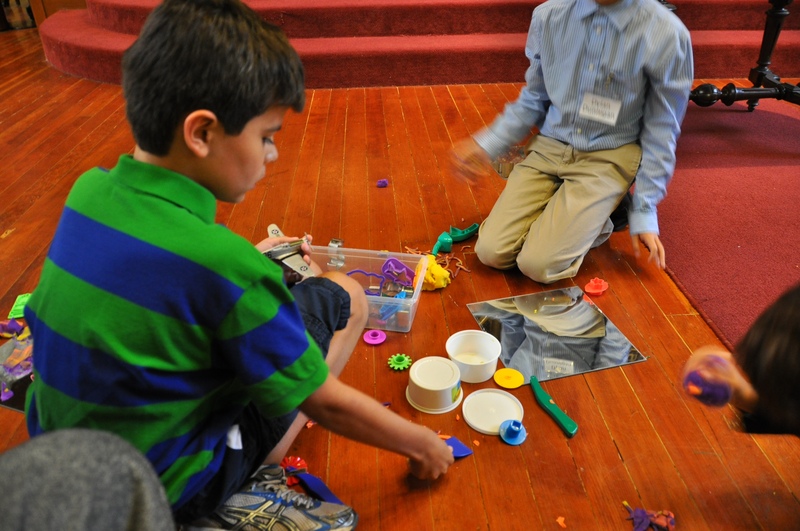 During the sermon time, they were invited to participate in an age-appropriate lesson if they choose. I used a resource from Union Theological Seminary to create 15-20 minute lessons that followed the lectionary text I was preaching. For this particular Sunday, I encouraged the 4th and 5th graders to stay for the sermon. With the help from my choir director, I was able to share bits and pieces from the above Ted Talk. Where Zander imitates a child learning to play the piano, I had my choir director reenact that part. 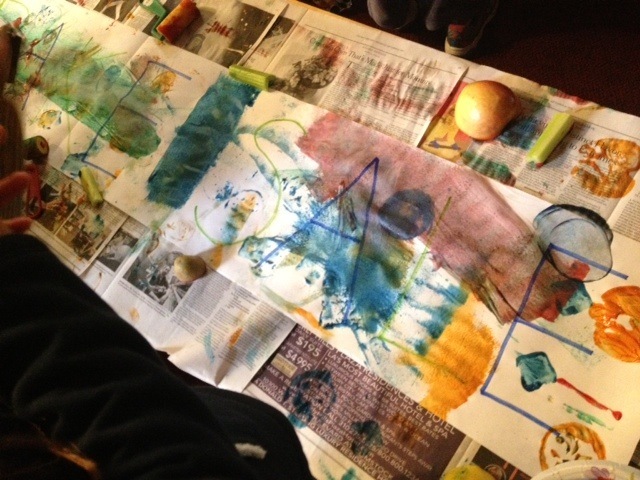 Later, I had them reflect on their faith journey and draw or write it on a strip of paper. Then they were invited to weave it into a prayer loom. I preached on Mark 9.30-37, where Jesus predicts his death for the second time. But I mostly focused on verse 32, “But they did not understand what he meant and were afraid to ask him about it.” At the end of my sermon, I invited them to write down a question about faith, God, or the Bible that they wondered about. They were instructed to hold onto their question until the offering time. The kids were instructed to do the same during their own lesson during sermon time. Just as we give God our time, talents, and treasure, we also gratefully give God our questions, challenges, and doubts. They were to put their question in the offering plate, offering their questions up to God. The questions were quite profound. On the fifth Sunday, I preached on Esther. There aren’t that many opportunities to preach about a woman. Instead of reading the story from the bible, I found a shortened version of the story. I had the kids pass out rattlers to everyone in the pews. They were instructed to shake their rattlers every time they heard the name “Haman.” This is tradition during the celebration of Purim. There was also a baptism on this Sunday. During the sermon time, the K-fifth graders had a lesson on baptism. They decorated a baptism box to give to the baby, filled it with baptism symbols, and wrote a promise to the baby. 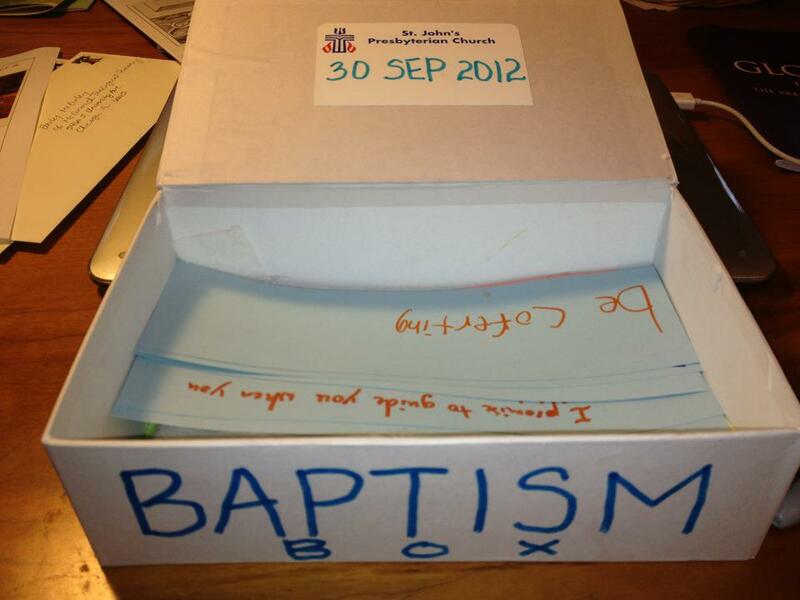 “I promise to pray for you and show you where the good cookies are at coffee hour.” During the baptism, worshippers were invited to add their own promises to the box, which was then given to the parents. For the next month, the structure of worship continued to stay the same, weaving in music, litanies, and different ways to read scripture. I will just share what I did with the kids to engage them in worship, since those were the elements that changed each Sunday. 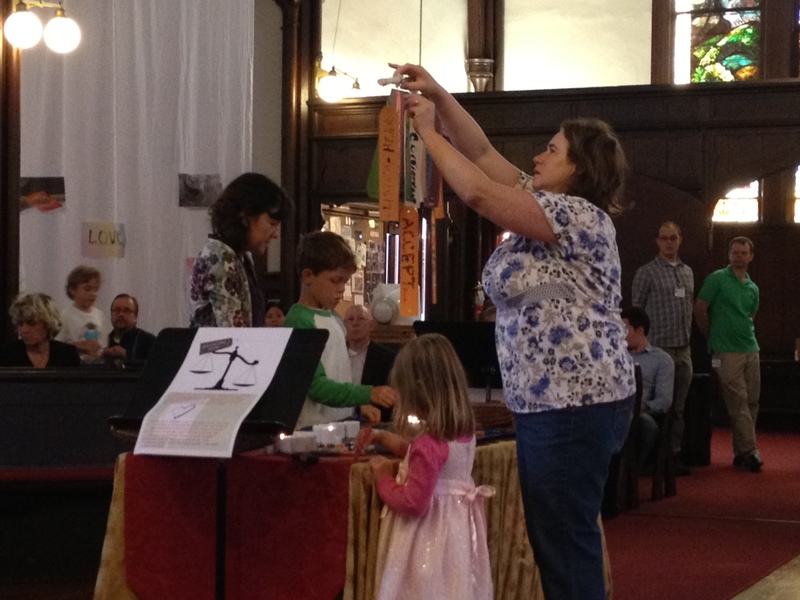 The next month was “Hunger Awareness Month.” The first Sunday was World Communion Sunday. 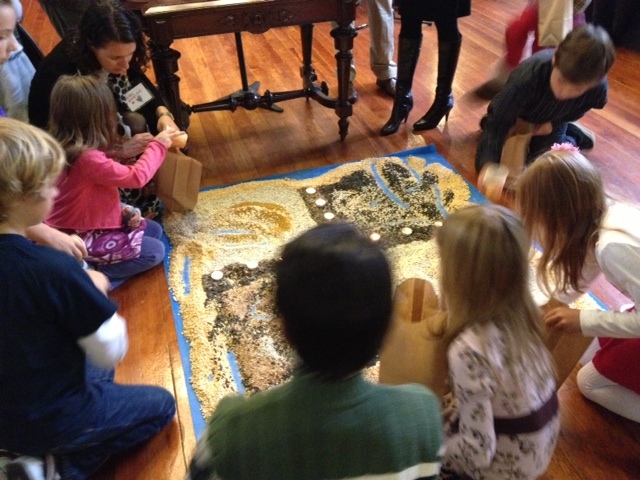 During the sermon time, the K-fifth graders had a lesson on World Communion and prepared the bread for the Table. 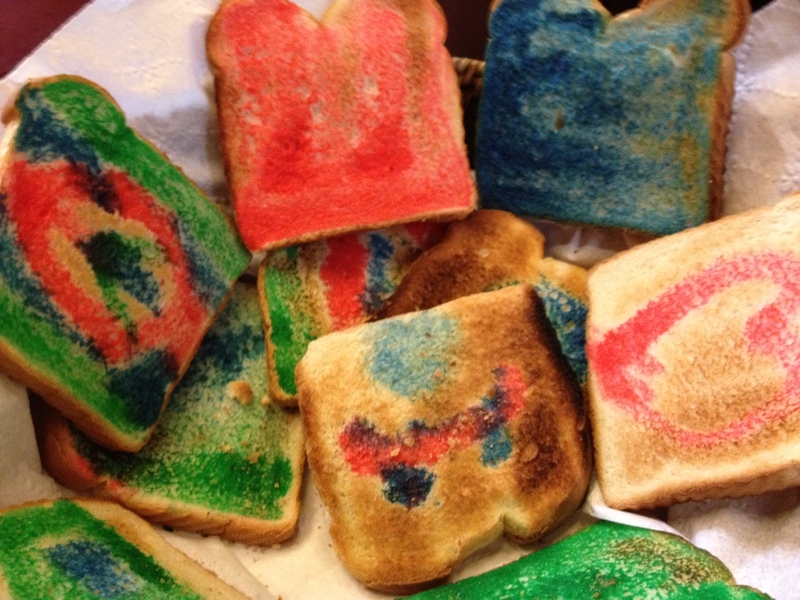 Using food coloring in milk, they “painted” symbols of peace on slices of white bread. The bread was then toasted to prevent it from getting soggy. It was great to see people sharing colorful bread that the kids prepared. The seventh Sunday, we had interactive prayer stations set up again, this time focusing on issues of hunger and the story of Jesus feeding the 5000. Worshippers learned about our food pantry, UNICEF, and the food bank. For the sermon, I read “Stone Soup” by Jon Muth. This story is great for adults and kids. “Where Is Bread?” by Carolyn Gillette. She writes new words to familiar hymn tunes. The eighth Sunday, the K-fifth graders learned about the Heifer Project, where they prepared for the following Sunday’s bake sale by making signs. During the week, parents and the kids were instructed to bake together, where they could share what they learned about the Heifer Project. I preached on Ruth and the act of gleaning. 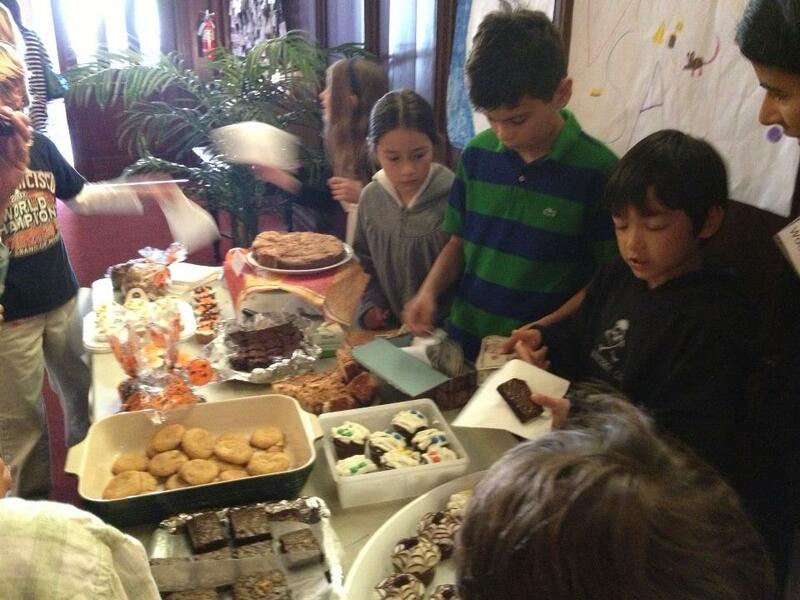 The following Sunday, the kids hosted a bake sale and raised money to buy animals for a village. Now, it’s my Head of Staff’s turn to play around with worship. I look forward to seeing and participating in what he comes up with. In the mean time, I will be working on some changes influenced by feedback I received. Some have to do with working out the kinks with lesson plans for the K-fifth graders. I am also going to generate a pamphlet similar to “A Children’s Guide to Worship” that is applicable to our worship service for parents and kids to look through. Some of my fifth graders have expressed a desire to preach. I will begin to work with them on those sermons. I am also going to ask the adults in a bible study that I’m leading on “Sense of Call” to think about preaching as well. We used a lot of global music because of its simplicity. We need to work on familiarizing ourselves better with the tunes and style, but I think we did a great first try. What I’m most excited about is the movement to getting new pews that are light, beautiful, and stackable so that we can be more flexible in our seating arrangement. The important thing is to keep trying, editing, revising, assessing, and improving. Here’s to the journey! Now I’m going to take a nap. What great stuff! Loving the food colored milk on the bread. Brilliant! !